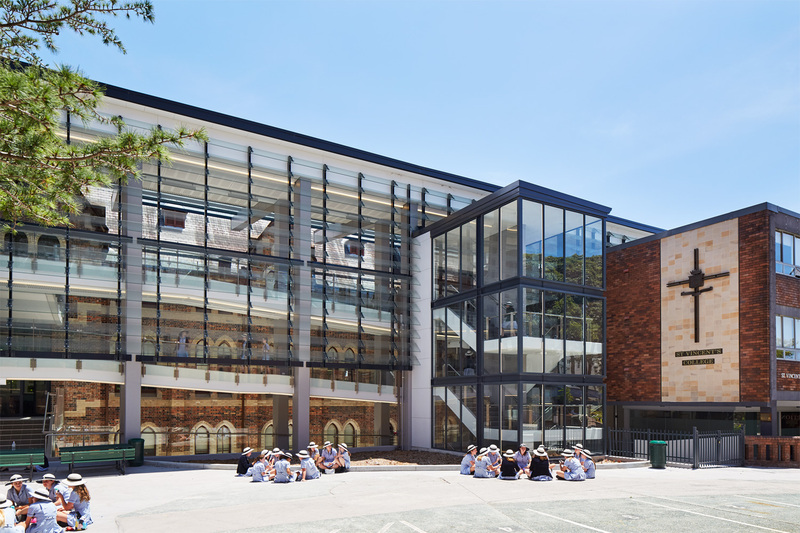 St Vincent’s College, Potts Point has recently finished a refurbishment to its Block B buildings, improving the circulation between classrooms and adding an all-weather outdoor space. 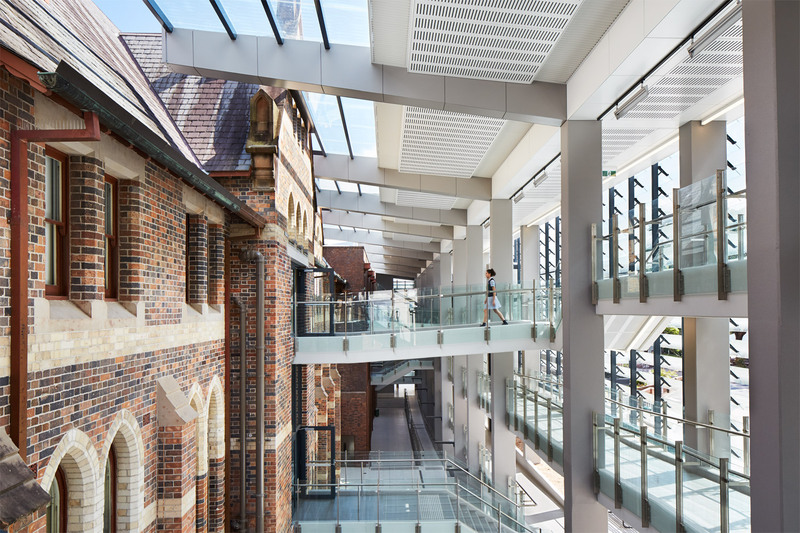 The new addition, designed by ThomsonAdsett Architects, features open walkways overlooking a covered breezeway, which has a modern aesthetic featuring glass and concrete, contrasting to the heritage façade it is connected to. 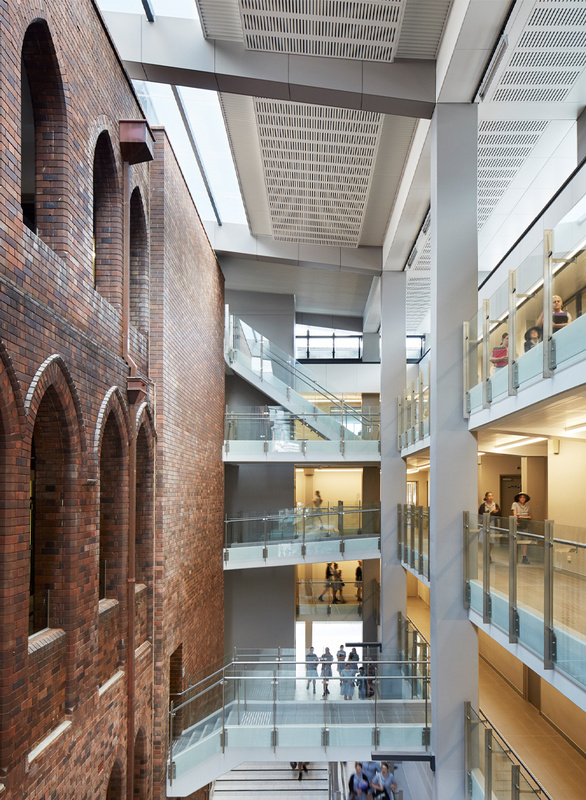 The overall result is an impressive construction, improving the functionality of these once disconnected buildings, whilst being sympathetic to its heritage features. 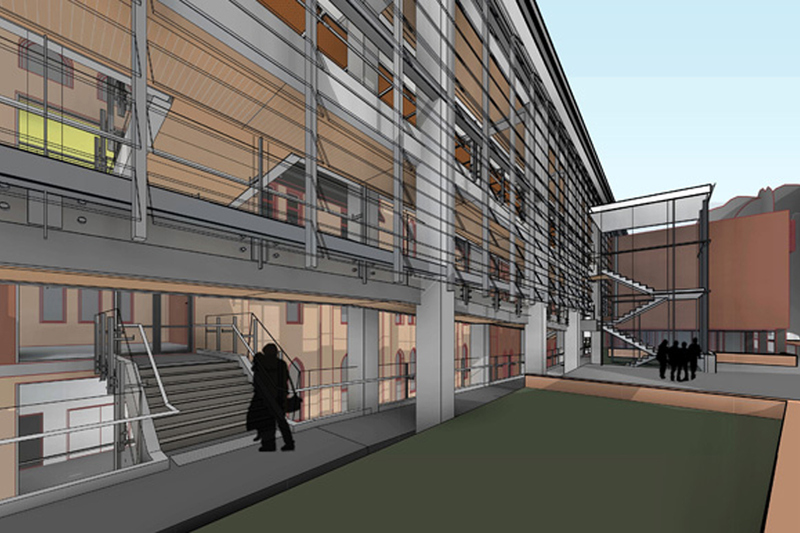 The design incorporates louvered glass walls creating a breezeway, transforming a once dark and neglected area of the building into a bright airy, all weather space for students to enjoy during their class breaks. Holmes Fire played a key role in the realisation of this architectural vision, using a performance based approach to justify omission of sprinklers to much of the breezeway, the use of natural ventilation instead of mechanical smoke exhaust and the use of a glass feature stair for egress. The experienced Fire Engineers at Holmes Fire used CFD (Computational Fluid Dynamics) modelling to assess the impact of potential fire scenarios and married that with results from and computer based egress modelling to demonstrate that students, staff and visitors would be afforded sufficient time to evacuate safety.